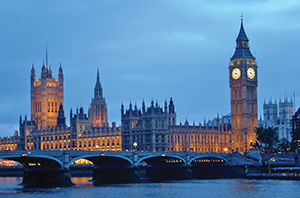 Data compiled by Citizens Online Democracy reveals the most active MPs in the House of Commons. 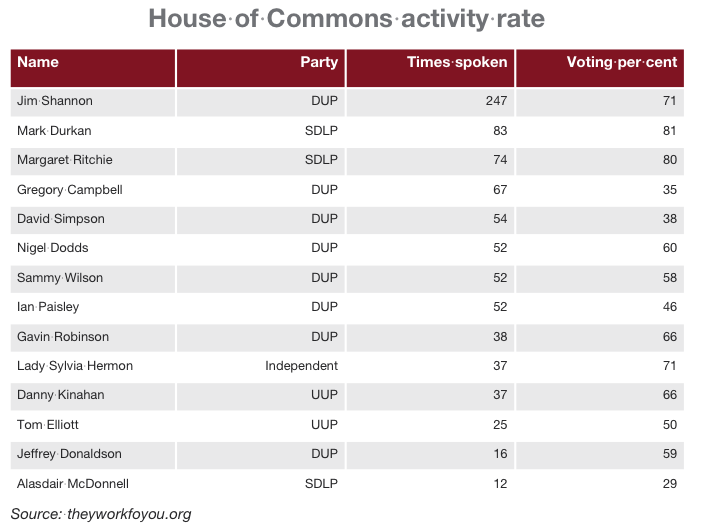 Data compiled by the charity Citizens Online Democracy and published on the website theyworkforyou.com has revealed the activity levels of Northern Irish MPs in the House of Commons. The findings reveal that Strangford MP Jim Shannon was the most active speaker in the House of Commons in 2015. Shannon, who has held the seat since 2010, has spoken 247 times in the last 12 months and participated in 71 per cent of the House’s votes. While Shannon is the most active MP across the UK, the second most active MP from Northern Ireland is the SDLP’s Mark Durkan MP who spoke 83 times and participated in 81 per cent of the House’s votes. The results show that the least active MP in Northern Ireland is the SDLP MP Alasdair McDonnell who spoke 12 times and participated in 29 per cent of the House’s votes. The second most active MP in the UK is the Conservative backbencher for Wellingborough Peter Bone, who spoke on 148 occasions, 99 times less than Shannon. Reflecting on the report, Shannon expressed his pleasure, though stressed that representing his constituents remained his highest priority. “Despite being from Northern Ireland I was happy to be made aware that I am the most active MP in the entire House of Commons,” he said. The available data also revealed that despite being the most frequent speaker in the Commons, Shannon actually voted less than both Mark Durkan and Margaret Ritchie of the SDLP.